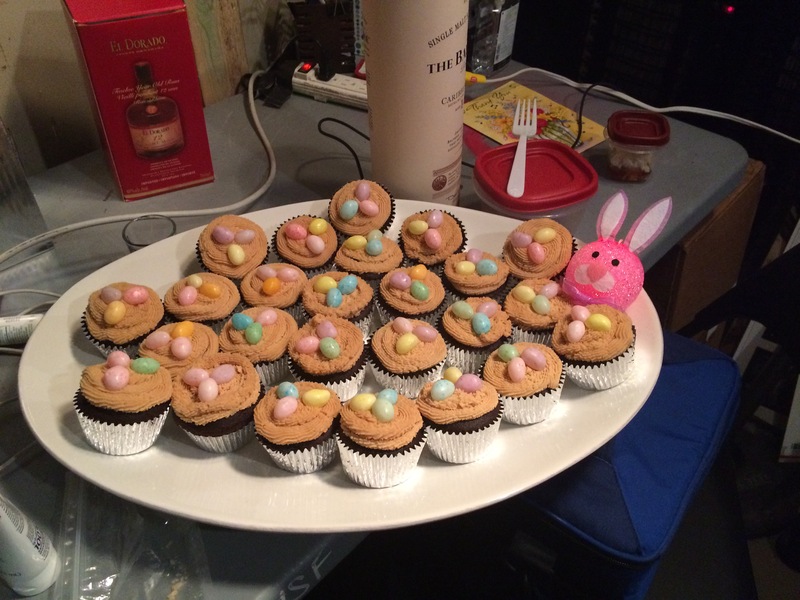 These were served at the Easter Sunday Wine and Unwind, hence the pink bunny rabbit. In a large bowl, stir together the cocoa and baking soda. Add vegetable oil and boiling water. Mix until well blended and thickened. Stir in the sugar, eggs, and remaining 1/3 cup oil. Finally, add the flour, vanilla and salt; mix just until all of the flour is absorbed. 1. Preheat an oven to 350 degrees F. Using mini-muffin pans, line 48 muffin cups with paper liners. 2. Mix the cake mix, 2 tablespoons canola oil, 1 1/3 cup water, and 3 egg whites in a large bowl with an electric mixer on low speed until combined. Mix on medium speed for 2 minutes. 3. 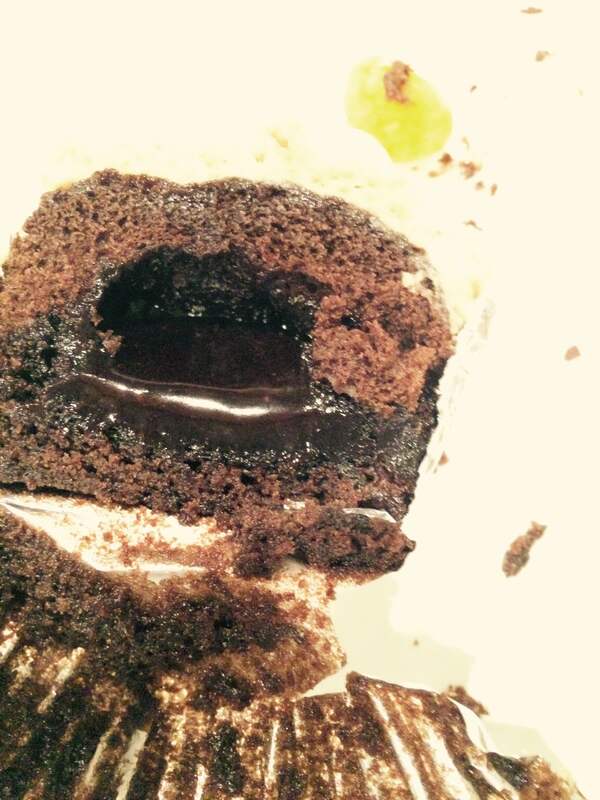 For a chewier brownie interior, spoon the brownie batter into prepared muffin cups, filling each cup 1/3 full. Spoon the cake batter over the brownie batter, until muffin cups are each 2/3 full. 5. Bake in the preheated oven until the tops spring back when lightly pressed, about 20 minutes. Place the butter and peanut butter into a medium bowl, and beat with an electric mixer. Gradually mix in the sugar, and when it starts to get thick, incorporate milk one tablespoon at a time until all of the sugar is mixed in and the frosting is thick and spreadable. Beat for at least 3 minutes so it is nice and fluffy. James piped the icing on to the cooled cupcakes using his trusty pastry bag and a flower tip, and topped that with jellybeans. Needless to say, they were a big hit with the Hamilton cast. I mean, really, what else is there to say?